I spent an hour in the craft store, and it was pure bliss. Do you get giddy walking into a craft store? I do. 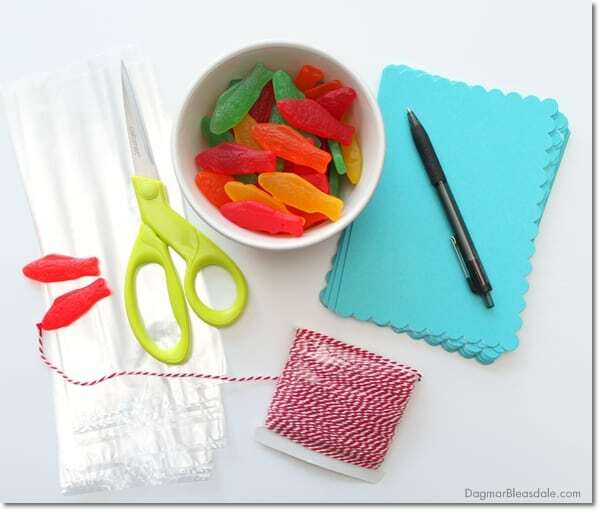 There are so many DIY projects just waiting to be made! 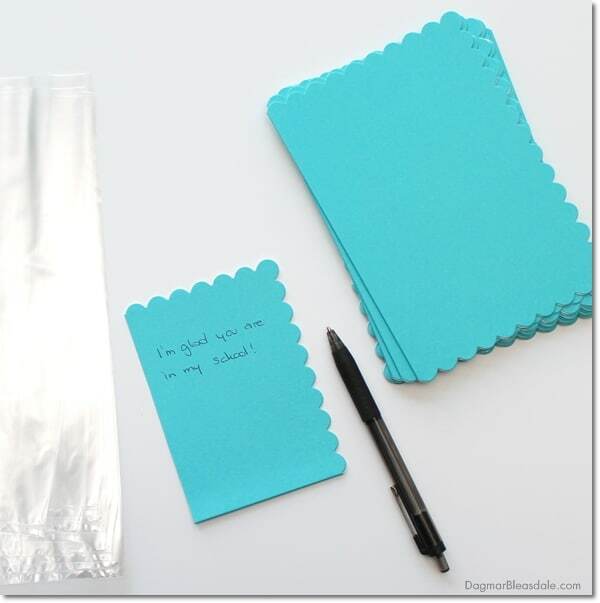 One of the things I saw were blue, scalloped note cards. 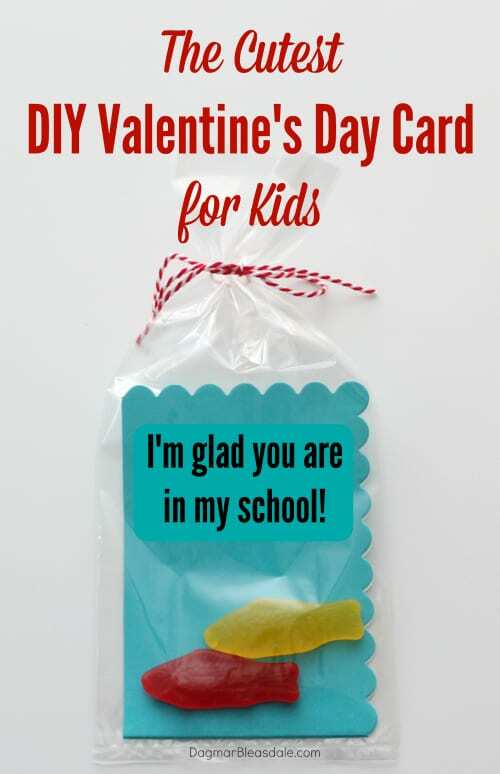 I knew exactly what to make with them: the cutest Valentine for kids that I mentioned in the post about my 5 favorite Valentine’s Day ideas from Pinterest. I’m not a fan of Valentine’s Day cards for kids that say “I’ve got my eyes on you!” or “I’m wild about you!” — I think that’s kind of creepy. That’s why I love this idea so much. It’s cute and clever. Buying the note cards made making these so easy, and so inexpensive: I paid $2 for 12 notecards at Michaels. 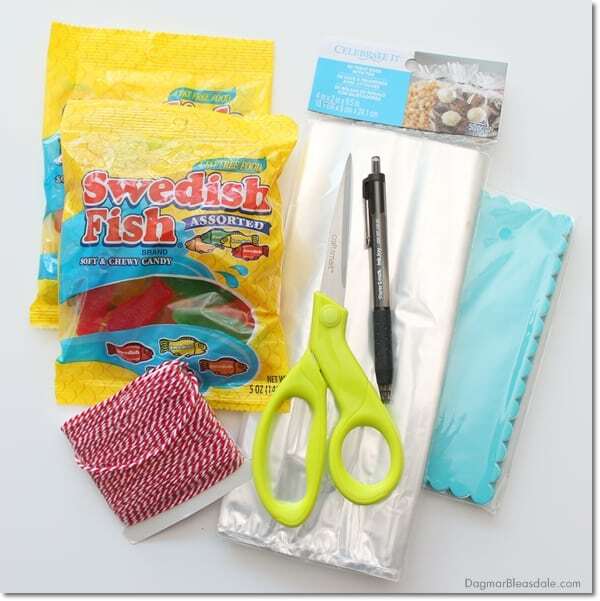 I also found 50 treat bags for $3.50, and Swedish fish. All set! This post includes affiliate links. Find more info in the footer of the blog. The scallops obviously are mimicking waves — and I just cut the cards in half to fit into the bags. If you want to get more Valentines out of this set, also cut the back and front apart to get four pieces out of one note card. 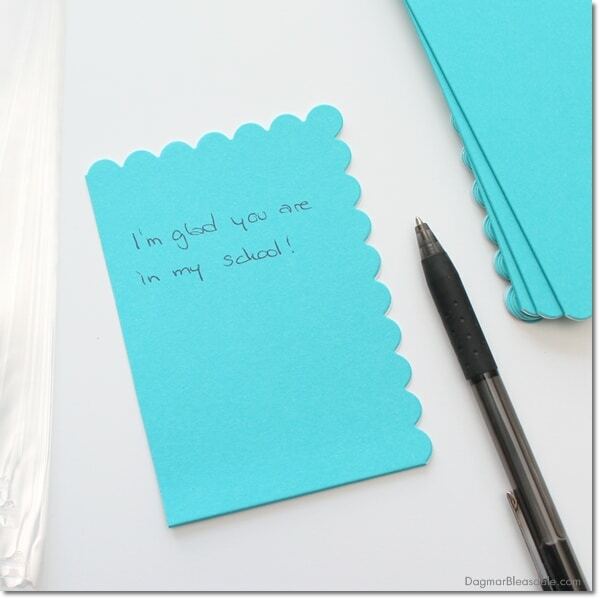 Then write “I’m glad you are in my school” on the card. 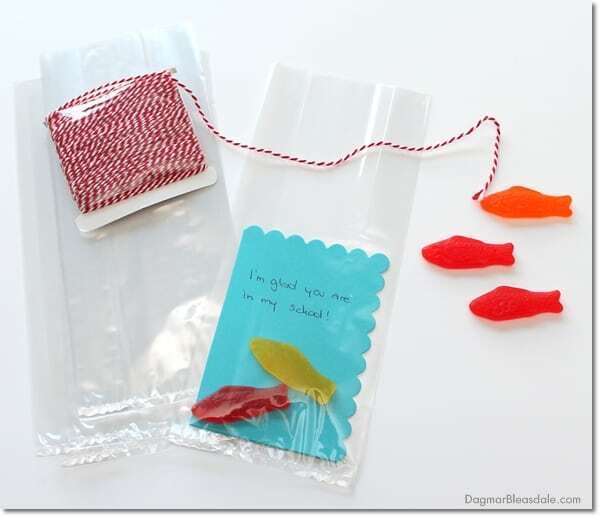 You could also add stickers with that note on the outside of the bag. Leave space for the fish on the bottom. I’m also going to have Landon sign all of the Valentines for his classmates. 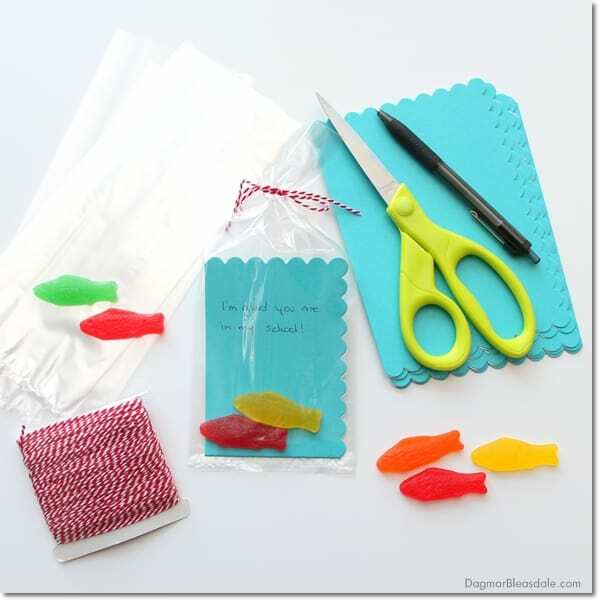 Insert the card into the cellophane bag and add Swedish fish. Close the bags with baker’s twine, ribbon, or ties. There you have it: one of the cutest Valentines for kids. 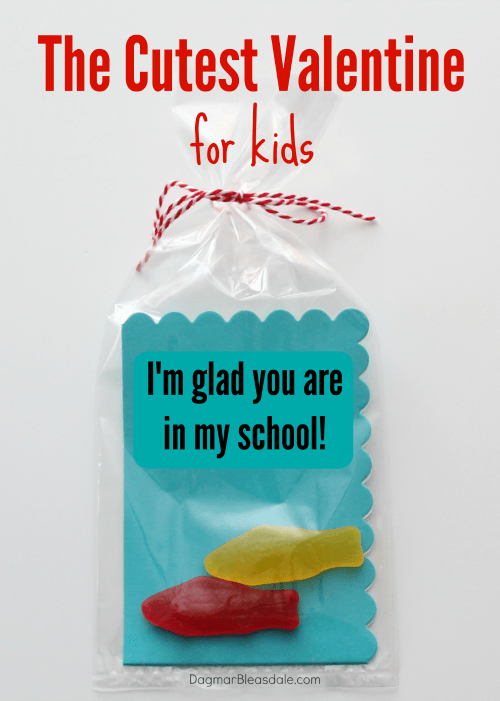 I made 24 for about $9 in material costs (bags, note cards, Swedish Fish), and I still have 26 treat bags left over. 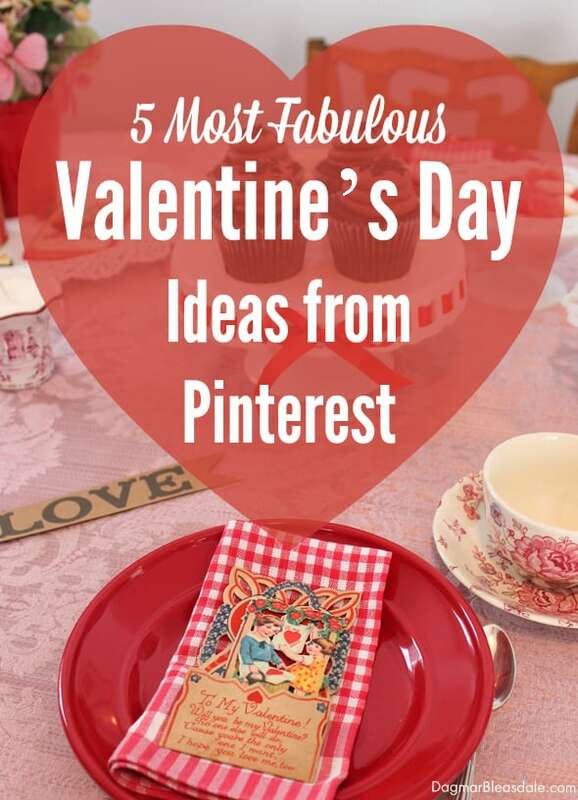 Here are many more Valentines’ Day ideas! That IS really cute Dagmar. 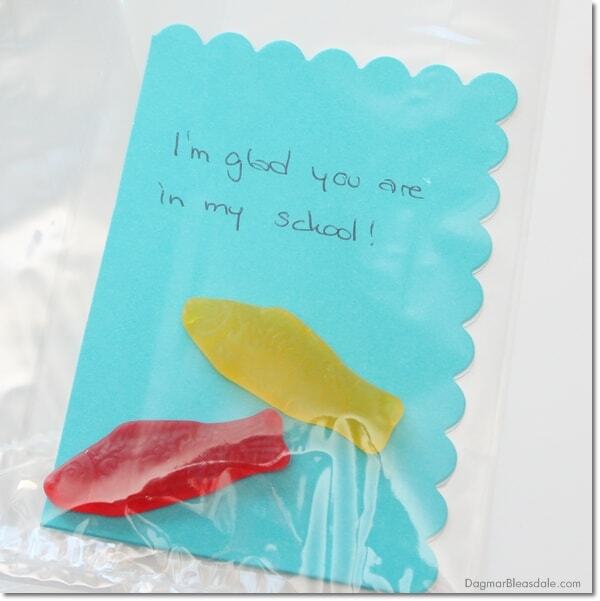 I can just see the kid’s eye light up when they RECEIVE this. Very sweet! Valentine’s is such a fun holiday. visiting from show + tell. 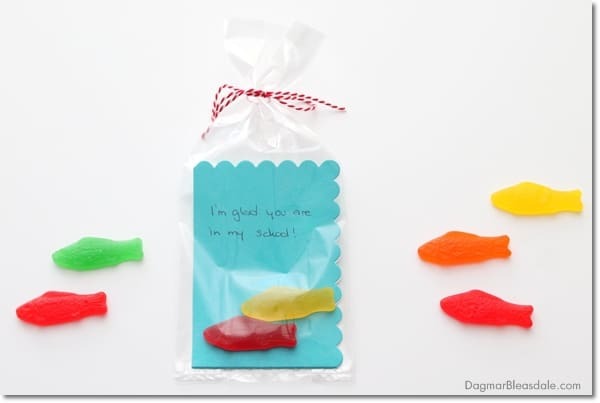 So cute it would also work for teacher appreciation cards. Thanks for inspiring me on Inspiration Monday Linky Party. Hi Anita, I bet they will be a great hi!